Saving is smart. It’s one of the golden rules of good personal finance management; save, save and save some more. We save for future goals. We save to build wealth. We save for financial security. We save for the ‘rainy day’. Well, at least that’s what we should be doing. However, are we thinking about saving in the right way? And are we doing it early enough? 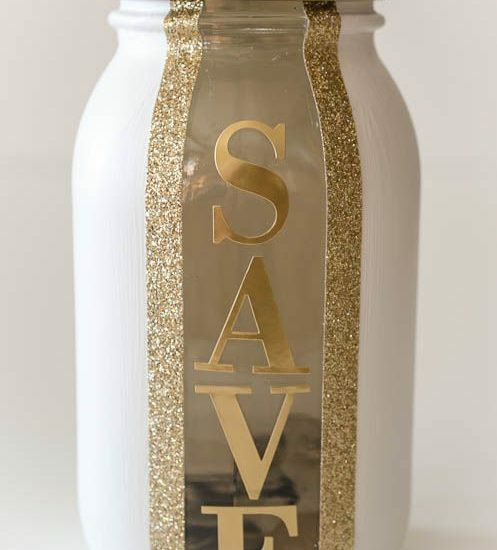 “Of course I save – I’m saving for my house, my car, my wedding”. So then I ask what happens in an emergency. Okay, fair enough. How about retirement? “I’m too young to be thinking about my pension. I still need to buy the house, the car, pay for the wedding. I’ll sort it out later”. Now before I go on, do not get me wrong, saving in this way is not a bad thing. I do, however, want to challenge the way we think and prioritise our saving plans. Saving should not just be for future goals. We are also supposed to be saving to build for financial security and for that ‘rainy day’ and this comes with thinking about emergencies and the money you’re going to be spending when you can no longer work and earn a monthly income a.k.a retirement. Saving for goals is the first thing we think of because not only is it easier to quantify but also with the way monthly disposable income is set up for the majority of us, it’s a necessity if we actually want to fulfil those goals. Coming up with a savings plan for a goal is relatively straightforward: you decide you want to buy a house; you set yourself a realistic deposit target (maybe £30,000), decide on a monthly amount to set aside and just like that you’re on track to that goal. Saving for financial security, on the other hand, is a little less exact so we often push it to the side as an afterthought. In an effort to get better at managing my finances, I’ve been reading a lot on saving and I keep coming across the phrase: always pay yourself first. Paying yourself is basically ensuring you regularly put money aside (no matter how small) for yourself before saving or spending towards anything else. This money should not be for the house, the car or the wedding. Instead, it should be going towards an emergency fund or retirement fund (i.e. a pension or a general savings/investment account for when you are no longer earning a monthly income). How many of us actually have an emergency fund? I mean, a real emergency fund separate from all other savings? One that is untouchable until there is a true emergency? Get one. Even better, get yourself a fixed rate savings account or a stocks & shares ISA with restricted access so you’re not easily tempted to rely on that money. The golden rule with an emergency fund is that you only use it for emergencies. What about retirement? In the UK, if you work for a good company, there is a strong likelihood that there is a company pension scheme that you can sign up to which will do the hard work for you. If you haven’t signed up, I strongly suggest you do. It’s easy to not think about 30, 40 or 50 years time; but if you really think about it – the amount of money you will need to live comfortably by the time you’re at retirement age (60+) is not the sort of money you can conjure up in a year or two. And the older we get the more responsibility we have, so it’s never too early to start saving for our pension. However, that’s not all, in April the government are introducing the new Lifetime ISA. The LISA can either be used for saving for a house or for a pension. Think about choosing it for a pension. You can never have too much money for the future. Okay so you want to open an emergency fund and start saving for retirement, but how much should you really be saving? How much should you be paying yourself before you think about saving for other things? David Bach, self-made millionaire and the financial author did a really good breakdown of the amount of money we should be aiming to have in both funds for each decade of our lives for financial security. In our 20s, he says we should be aiming to have stored away at least 3 months of expenses and at least 10% or of gross income for retirement. Remember this isn’t something you have to achieve all at once in one year – and if you’re not able to, that doesn’t mean you’re bad with money. It’s just a useful reminder to pay yourself first before saving for other things. Soon, that emergency and retirement fund will be earning you interest you can rely on. I’ll be honest, I am not where I should be with saving for an emergency and retirement fund. The way my money is set up – it’s difficult to not rely on all my savings for a specific goal and just start afresh when needs are there but I’m changing my mindset month by month by paying myself first for the long term. Maybe you should be too. Source: How much money to save in every decade.